Today (September 29) at the CITES CoP17 meeting in Johannesburg, South Africa, countries pledged to do more to curb the illicit poaching and trade in the totoaba fish which directly threatens the survival prospects of the critically endangered vaquita porpoise. 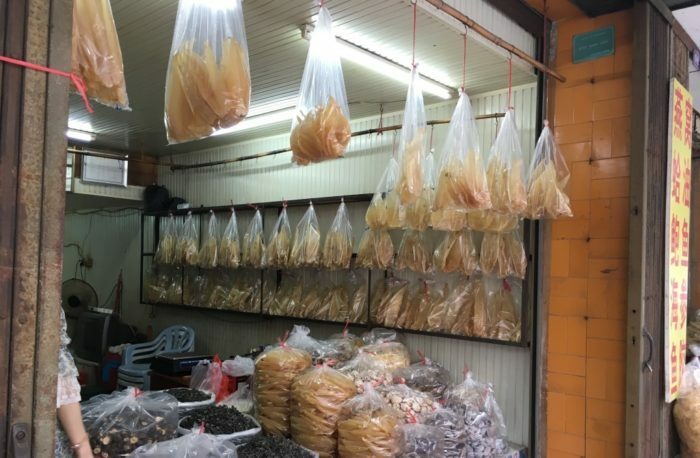 Both species are listed on Appendix I of CITES, banning all international trade, yet a lucrative black market for the dried swim bladder of the totoaba has grown in recent years due to demand from the main market in China. At the meeting, a decision document submitted by Mexico was agreed. 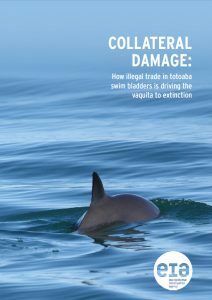 It calls on member countries to intercept illegal shipments of totoaba and report all seizures, arrests and prosecutions to the CITES Secretariat, with the results subsequently analysed and recommendations for further actions made annually. In preparation for today’s decision, EIA spoke at a side event on Sunday to outline its latest findings on illegal trade in totoaba, contained in its Collateral Damage report. The findings were referred to by the delegate of Mexico in introducing the draft decision. During this morning’s discussion, EIA Campaigns Director Julian Newman spoke in support of the Mexican document, stating: “The urgency of this issue cannot be over-stressed. If the illegal trade in totoaba persists the vaquita will disappear. “International cooperation is vital to ensure enforcement actions take place along the entire illicit supply chain of the totoaba trade from source to market. The map of global totoaba seizures shows this is not happening. Of 27 seizure cases recorded by EIA since 2013, virtually all occurred in Mexico and the US, and just two minor cases in the main market of China.